The vibrant island offers a great mix of activities to keep you entertained during your stay, ranging from the simple pleasure of a swim in the turquoise sea, or a stroll around the historic sites, to a zip-line adventure above the canopies, or the stimulating atmosphere of a carnival. Discover the history that paves the streets of Bridgetown, take a soothing walk around the beautiful tropical gardens, explore the majestic caves and romantic plantation ruins, or shop til you drop at the modern malls and craft markets.Whether you're in search of the local wildlife, best golf course, greatest duty-free bargain, the island's oldest building, or prettiest beach, Barbados has a bit of nature, fun, relaxation, and heritage to suit all types of holiday-makers, in a vibrant yet laid-back atmosphere. Housed in the historic West Wing of Parliament, the museum documents the evolution of democracy in Barbados since 1629 until present days, highlighting the part played by the population in making democracy a reality. An educative visit through an entertaining mix of traditional exhibits, as well as interactive audio and video pieces, and artistic impressions. 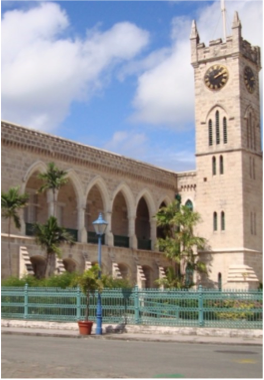 Barbados' capital and commercial centre was established back in 1628 and was originally named Indian Bridge, due to the bridge that the Indians had constructed over the river, and then St Michael, before being named Bridgetown. Patterned after an Oxford college and built in 1743, the institution is the Western Hemisphere's oldest Anglican theological college. The college's historic principal lodge was part of the Great House of the 17th century Consett plantation. Stretching over 1.6km between Camelot and Accra Beach, the boardwalk offers a picturesque coast along Hastings Rocks, on the southern coast of the island. Bars, restaurants, and small coves can be enjoyed along the way. Originally named Jamestown, after King James I of England, Holetown was where the English ships William and John first landed between the 17th and 20th of February 1627, with 80 English settlers and 10 African slaves captured on the way. Named after William Speight, a member of the country's first Assembly during the years of Settlement, as well as the former owner of the land on which the town sits, Speightstown was once Barbados' first major port and commercial hub. Located close to Bridgetown, this historic site has been the national home of horse racing since 1845, and was once used by officers of the British Regiment stationed in Barbados as a parade ground to race their horses, which later attracted the area's rich planters and merchant. Lasting for approximately 5 weeks, and commencing in July, Crop Over is a Barbadian festival celebrating the end of the local sugar cane crop harvest. A summer street carnival, filled with people consumed with "festival fever", dancing to Caribbean soca music and wearing spectacular, multi-coloured costumes and body paint; Kadooment Day is the climax of the Crop Over festival. Located at the heart of the capital, this site features the World's only remaining screw dock of its kind. This museum retraces the highlights of the Barbadian and West Indian crickets, documenting the lives of its various icons andsharing some of the key moments in the local cricket history immortalised through memorabilia and virtual exhibits. Also known as Bush Hill House, this historic plantation house was home to George Washington and his brother for two months, back in 1751. Barbados is the only country that the "First Father"-to-be ever visited, and Bush Hill the only house he ever lived in outside of the continental United States. The current structure of the church was built in 1846 to replace the original structure that was destroyed by the 1831 hurricane. The solid Gothic church contrasts with the serene grounds and cliff-edge views that surround it. 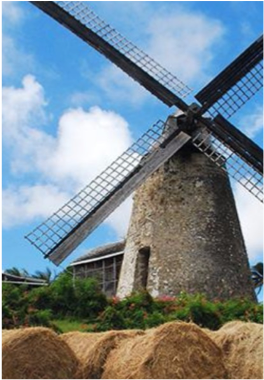 The world's only working sugar windmill of its kind, and maintained by the Barbados National Trust, the site features an exhibit document the tools and techniques used at the time of wind-powered mills on the island. Located in Christchurch, this 1852 lighthouse was the first one to be erected in the country, and is a landmark that is easily spotted from many points along the south coast of the island. Located in Speightstown, St Peter, this educational and entertaining museum is set in a beautiful restored 18th century three-story house. Located at the heart of Bridgetown's UNESCO World Heritage Site, the Garrison, the museum is housed in a historic 19th century military prison buildings and highlights the country's rich heritage, culture and history. This National Park was once home to a beautiful mansion built by Sir Graham Briggs, destined to entertain royalty such as King George V in 1879. Although most of the mansion got destroyed by fire in 1965, its remains have transformed the location into a romantic picnic spot boasting great view of the country's southern point. This picturesque square is home to many historic buildings and hosts regular cultural events attracting both locals and tourists. Built in 1818, Gun Hill is one of a network of stations that were created with internal security in mind, facilitating communication in case of emergency, as well as providing a rallying point during times of civil disorder. Located in the parish of St Peter, the abbey was built in 1660, and is one of the Western Hemisphere's only three genuine Jacobean mansions. 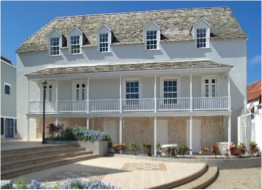 Sunbury is Barbados' only Great House where all rooms are available for viewing. It was built around 1660 by Irish/English planter Matthew Chapman, who was one of the country's first settlers and was also related to the Earl of Carlisle, an association that granted him lands on the island. The historical building has a selection of old artefacts, antiques and artwork for visitors to admire. 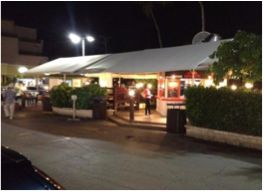 Located on the South coast of the island, Oistins is one of Barbados' main fishing port, and one where you can enjoy a whole lot of fresh seafood! Every weekend, visitors will find small events gathering not only the best local seafood, but also local crafts market stalls and live music. The National Trust Hikes offers weekly hikes aiming to highlight and educate about the preservation of places of historic, architectural and archaeological interest and of ecological importance or natural beauty. 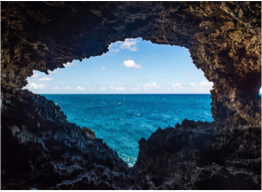 These hikes are open to both locals and visitors, and vary in length and difficulties, ranging from 5 to 14 miles, with some going through cane fields and gullies. Donations are accepted. 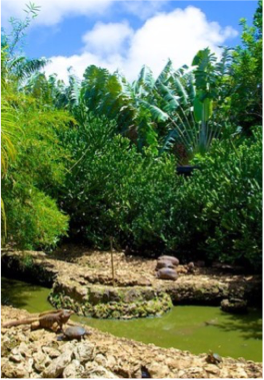 Located at the heart of the Barbadian countryside, in the middle of sugarcane fields, and spreading over 8 acres of land at an altitude of 810 feet, these beautiful gardens take you through a varied landscape of coral grottos, waterfalls, ponds, dotted with thousands of colourful orchids and tropical plants. A beautiful garden made of the various vegetal finds of Mrs Iris Bannochie during her travels around the world. The gardens, which were bequeathed to the Barbados National Trust in 1988, are not only home to a variety of flora, but also counts a few fauna species that visitors are likely to meet, such as dragonflies, hummingbirds, and monkeys. Sandy Lane Beach has to be on all visitors’ list of best things to do in Barbados. Widely known as the "Sandy Lane" beach, this magnificent stretch takes its name from the luxurious Sandy Lane Hotel which is nestled directly off this beach. First opened in 1961, this famous hotel is known as one of the finest resorts in the Caribbean, and over the years has welcomed royalty, celebrities, and the business elite; Tiger Woods was married here. Named after the cherry trees that used to line the drive leading up to the St Nicholas Abbey property, of which Cherry Tree Hill is part, this 850 feet high landmark is known for offering stunning panoramic views of the island. 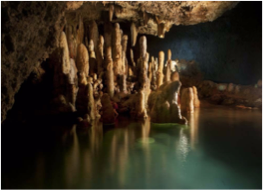 A tour of the popular cave showcasing unique rock formations as well as elements of heritage, documenting the lives of the first settlers. Located in St Joseph, these gardens are the creation of Anthony Hunte, who composed a unique landscape of tropical plants, statues and antiques, enhanced by the light classical and opera music floating in the air. Take a leisurely stroll around the reserve where tropical animals play, feed and sleep in their natural habitat. Expect to meet the likes of parrots, flamingos, peacocks, tortoises, turtles, iguanas, armadillos, agouti, pelicans, caimans, brocket deer, and monkeys, as well as snakes and other animals - the more dangerous ones being kept enclosed. Located in the St Thomas Parish, this site sits at a height of 850 feet and was once home to the Richmond sugar plantation. The nature trail winds through the forest's variety of flora and fauna, offering encounters with the likes of hummingbirds and green monkeys, as well as offering spectacular views of the surrounding areas. Lying in 120 feet of water, this 365 feet Greek freighter is a wreck that was purposely sunk to create an artificial reef that is now home to an abundant marine life of fish and corals. The bow can be reached at a depth of 70 feet and the stern at a hundred feet. Located at the North of the island and lying in 60 feet of water, this 165 feet long wreck offers a relaxing dive that is perfect for beginners. With a depth ranging from 20 to 60 feet, this dome-shaped reef offers a variety of coral environments, and is popular for its sloping corals, brown coral forests, and schools of fish, providing a very educative and fun experience. This coral reef reaches depth of 135 to 145 feet, and is home to parrotfish and sea turtles. 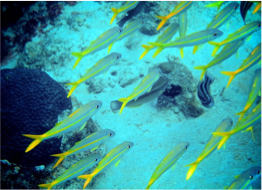 This reef dive is popular for its beautiful marine life abounding with tropical fish, corals, turtles, and barracudas. This site is composed of several large coral reefs separated by beautiful stretches of white sand, and is home to the likes of barracudas and rays. 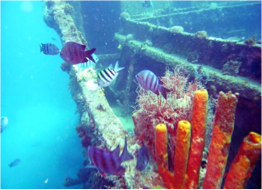 Counting many wrecks, this historic bay is one of the island's most popular diving sites, with four wrecks attracting more visitors than the others: the Berwyn, Eilon, C-Trek and Fox. The site is adapted to beginners, and divers can expect to come across a great variety of marine life, including colourful tropical fish, seahorses, eels, frog fish. This 100 feet Dutch freighter was sunk in 1984 and now lies in 55 feet of water. The site also features a beautiful reef nearby, for divers to enjoy the best of reef and wreck diving in one site. If you've ever fancied the thrill of a zipline this is the place to do it! Here, you can glide above the famous "Jack In The Box Gully". Your tour takes you over eight platforms, each with two experienced and knowledgeable guides who will provide you with information on different areas of the eco-system you are experiencing as well as ensure your safety as you move from platform to platform. 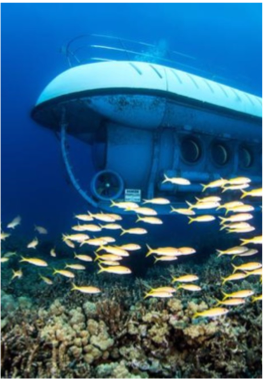 If you would like to get closer to the local marine life but are not a keen snorkeler or diver, you may enjoy a tour on the Atlantis Submarine, in which you can explore the underwater world from the comfort of your seat. The tour takes visitors to depth of 150 feet, where amazing aquatic wildlife as well as a shipwreck are revealed. Located on Brighton Beach, this distillery is home to a variety of rums, including Malibu and Cockspur. 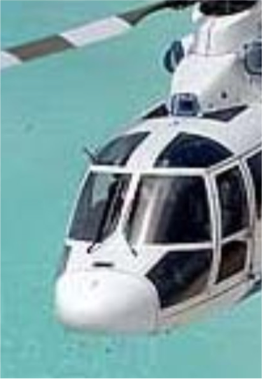 What a fantastic way to see Barbados - from the sky!A relatively new way to see Barbados, Bajan Helicopters, Bridgetown heliport, St. Michaels, offers a fascinating tour that involves soaring in an air-conditioned jet 50km (30 miles) over either saw-toothed cliffs and animal-shaped rocks or ultramarine boats floating on serene beaches, depending on which coast you are touring. 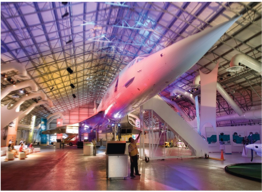 Get closer to the British Airways Concorde G-BOAE (or Alpha Echo), and learn about the unique technology developed and used for this internationally renowned plane. 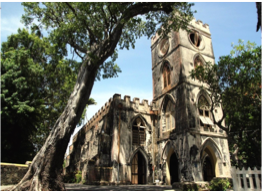 Located in Newton, Christ Church, this brewery takes visitors through the making process and history of the renowned Caribbean pilsner lager. Barbads is a surfing paradise. Get zed to teach you how to surf! If you’ve always watched in amazement at surfers doing their tricks, or just crave the sense of freedom as you catch a perfect wave - Barbados is the surfing paradise in the Caribbean and Zed’s Surfing Adventured can help the non-surfers get to grips with the sport in the most amazing setting! An unusual tour through a modern, computerised rum factory, surrounded by landscaped gardens where visitors can find craft shops as well as food and drinks stalls. 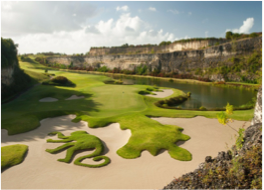 Opened in 2009, this is one of the Caribbean's newest championship golf courses. Set at almost a thousand feet above sea level, at the heart of the island, the course boasts a lush landscape of grassland, wooded ravines, lakes, and coral stone quarries, destined to complement its natural surroundings. A par 72 course designed by Robert Trent Jones Jr and spread over 7,045 yards, surrounded by beautiful tropical landscapes, lush vegetation and breathtaking views. 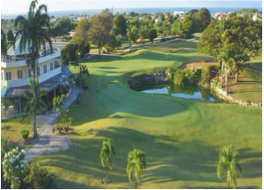 Located in Durants, in the Christ Church Parish, this course has played host to the Barbados Open on several occasions, and was approved to host a PGA Seniors Tournament in 2003. Both locals and visitors are welcome to play. A course featuring a 450 yards drive range, Clubhouse, material rental, golf carts and caddies. This 9 hole par 70 course stretches over 5610 yards and is located on the south coast of the island, on the grounds of the Club Rockley Resort. The course features an onsite pro-shop and restaurant. The Caribbean's largest department stores offers all you need for an exciting shopping spree, including duty free products, perfume and cosmetics, beachwear, souvenirs, t-shirts, music and movies, jewellery and accessories, menswear, ladies' wear, children's wear, shoes, house wears, gifts, kitchen appliances, furniture, and electronics. Located in the middle of Broadstreet, this shopping centre offers a variety of retail stores as well as a few duty-free jewellery and gift stores. Located on the south coast, this small strip mall is popular with teenagers and young adults and offers shops and eateries including gifts, electronics, and clothing shops, as well as a cupcake boutique, coffee shop, and grocery store. Located within Holetown, on the island's western coast, this shopping centre takes its name from the traditional Barbadian wooden homes, "Chattel Houses", its little shops aim to recreate. Here you can shop for local crafts, art, fashion, souvenirs and gifts, as well as home accessories. If it's authentic Barbadian crafts and arts you're looking to buy, head to this pottery centre, featuring the work of artists such as Karl Broodhagen, Donna Grandin, Erik Feely, Vishni Gopwani, Nigel Pierre, Hilary Armstrong, Sophie Barnard and more. This local Rastafarian street market is a popular spot for leather crafts, bags, belts, shoes, as well as fine art and other goods. Vegetarian meals are also available. For all your duty-free bargains, this shopping centre counts more than a hundred luxury fashion brands including Burberry, Cartier, HUGO BOSS, Longchamp, Louis Vuitton, Michael Kors and Ralph Lauren, as well as some of the island's best restaurants and bars, and is conveniently located on the West coast, near most resorts and hotels. Local crafts, accessories, artwork and food can all be enjoyed at this colourful centre which boasts 25 retail shops, 14 workshops, a gallery and annex, a wine bar and bistro, a restaurant and an impressive artist wall, and is located between the Bridgetown Port and the Princess Alice Bus Terminal. One of the biggest market of its kind in the country, where you can purchase items from farmers and vendors, such as clothing, craft, fruit, vegetables, plants, spices, fresh meats and food.